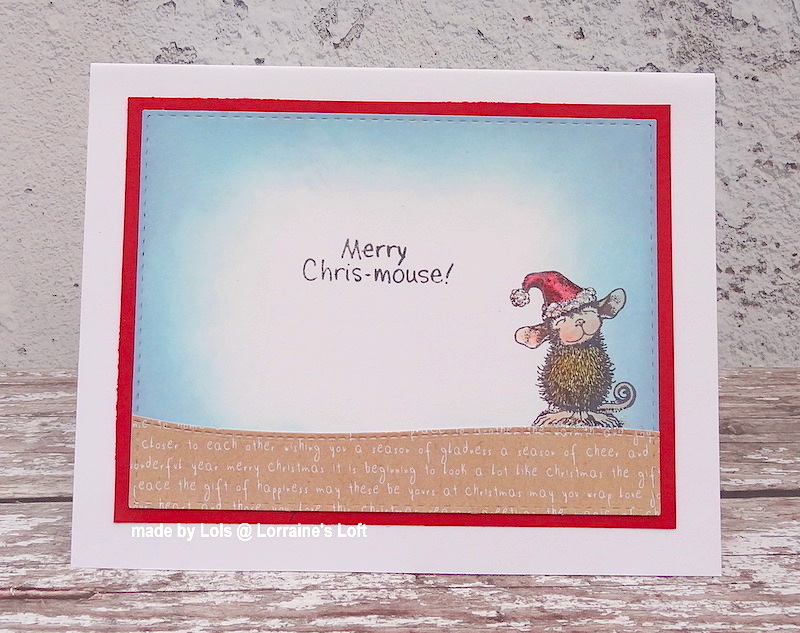 I am here with a reminder to please join in with House Mouse and Friends Challenge. Thanks for looking! You have until MN EST on 27th October to join in! Awwwwhow cute are these guys LOVE the colouring on your Red Cardinal he is gorgeous..super cute crimbo card .. 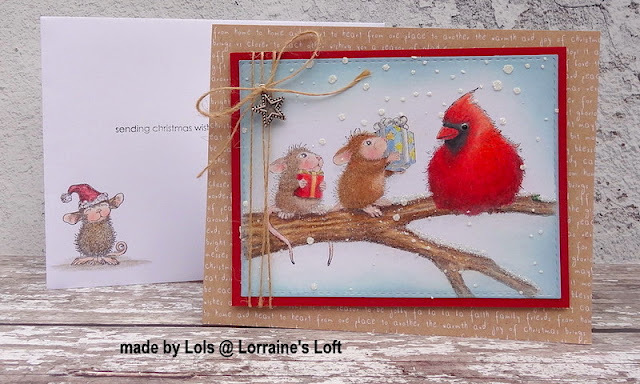 Stunning Christmas card, Lorraine. 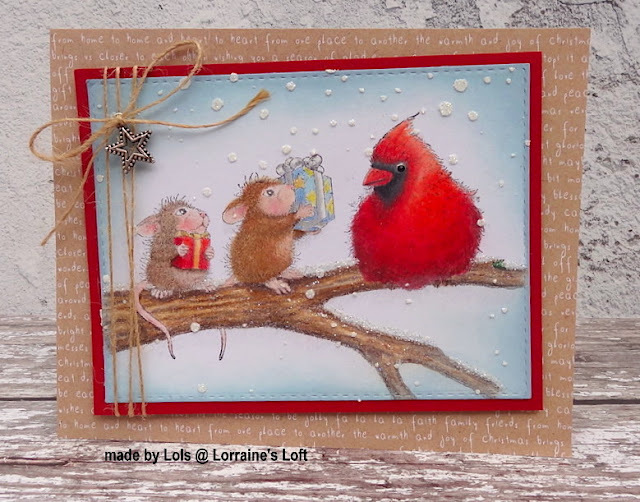 Love the sweet image, those little mice faces could not be sweeter. 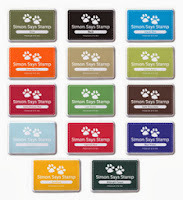 Love how beautifully you colored it up and your card design too, both inside and out. Simply lovely, lucky recipient!